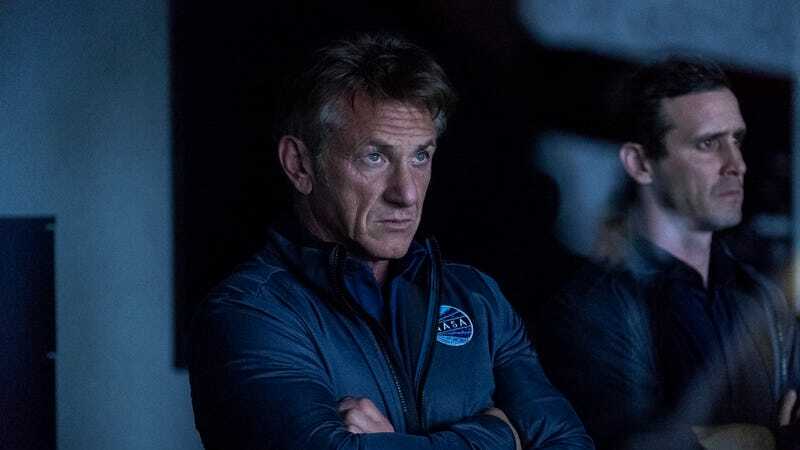 Bad news for everyone who got a real kick out of watching Sean Penn act so goddamn sad about having to go to stupid, majestic Mars: Hulu has canceled Penn’s TV series The First, possibly because they, like the rest of us, kind of, sort of, forgot that it exists. (A non-trivial portion of us may or may not have gotten it twisted with First Man, also about extremely serous men in space.) According to The Hollywood Reporter, the Beau Willimon-created show won’t be back for a second season, meaning we’ll never get to watch Penn be sad on Mars, instead of simply sad at it, as promised in its first-season finale. Hulu, of course, doesn’t release viewership numbers, but it’s pretty obvious that the show—which mostly concerned itself with Penn’s character’s relationship with his daughter, rather than piddly little stuff like conquering the grand, sprawling abyss of the cosmos—didn’t makes nearly as much of an impact as the service was hoping a collaboration between an Oscar-winning actor and the creator of the U.S. version of House Of Cards might. The First wasn’t all bad, mind you—Anna Jacoby-Heron and Natascha McElhone both gave fantastic, complicated performances—but ultimately, it just couldn’t survive that initial burst of ignition, it seems.